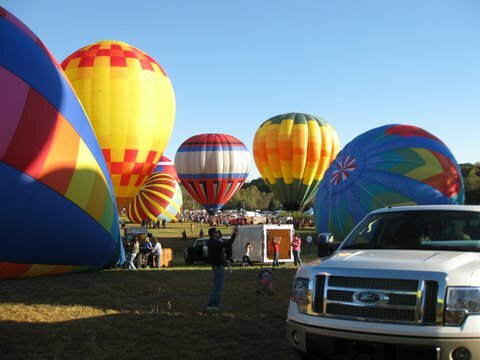 On one of our recent road trips through the state of North Carolina, we stumbled upon a great little festival, the Carolina BalloonFest, and a wonderful town that hosts it each year in October. Stateville, North Carolina is a friendly and charming little town not too far from Hickory where all the beautiful famous furniture is made and sold. This three day Carolina BalloonFest event is truly a blast and offers the perfect opportunity to watch about 50 beautiful and uniquely decorated and designed balloons. 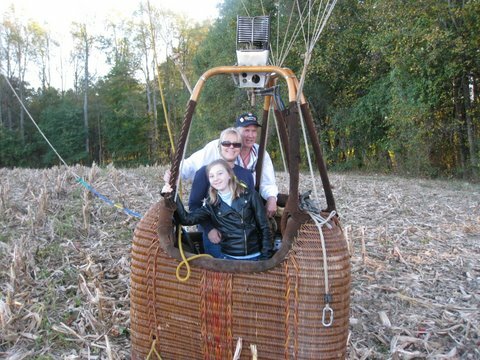 Or if you are more adventurous you can book a reservation to ride in one like we did. Our pilot, Clarke Harbold, decided to make our hands sweat by “kissing the trees” with us. Wow. Live music, entertainment, wine tasting and a kids’ play area, along with arts and crafts make this a real fun time for everyone who attends. With free parking you may want to come early and stay late like we chose to do. The first day is on a Friday and it’s Fan Appreciation Day with Free Admission. 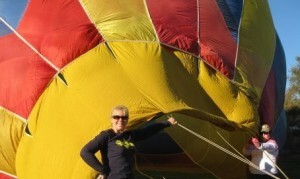 They have a Balloon Glow on Saturday night. You’ll want to bring your lawn chairs and blankets so you can really kick back and enjoy the entire festivity. Just watching the gorgeous, colorful and patriotic balloons as they are inflated into enormous colorful spectacles, is a thrill in and of itself. But should you decide to go for a ride, the views and the experience are incomparable. We stayed at the Courtyard by Marriott in Statesville. The staff there were exceptionally friendly and helpful, the property was meticulously clean and our room was very comfortable, spacious, and had all the amenities to make us feel right at home. We throughly enjoyed our little getaway to Statesville and plan to go back as soon as we can. We now see hot air balloons from a different perspective and anytime we see them in the sky we will surely think of our new friends in Statesville.